I have just returned from seeing “Posh” at the Duke of York’s Theatre. I regret to say I was disappointed. The acting is good and the play itself is quite powerful, but the reviews and write-ups had led me to expect something funnier with more pointed satire and a clearer political message. However, don’t let me put you off – it is still worth seeing. And it is certainly a potent reminder of the social background and early lives of those currently running the country. 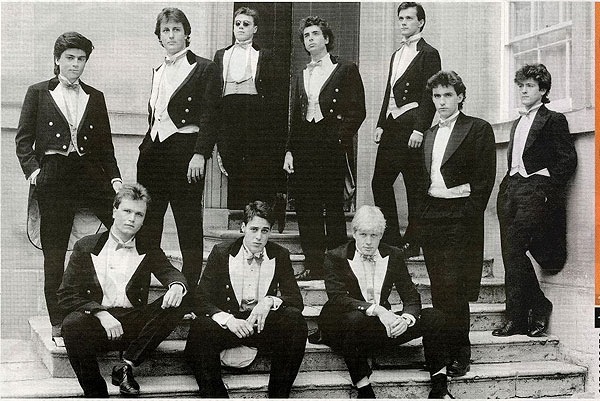 The “Riot Club” is clearly based on the Bullingdon Club and you can draw your own conclusions as to who is meant to be the David Cameron or the Boris Johnson character in the play …. If Jeremy Hunt’s mind was made up, where does that leave David Cameron? It may not always be obvious, but I do try to be fair to the Government. However, I do find that their arguments about the BSkyB bid are becoming increasingly convoluted. To recap, after the Telegraph sting on Vince Cable the Prime Minister ruled that Cable’s comments to two undercover reporters were “totally unacceptable and inappropriate” and prejudiced his ability to act in a quasi-judicial role in determining whether to accept any Competition Commission decision that the News International takeover of BSkyB could go ahead. The quasi-judicial responsibility was then transferred to the Department of Culture, Media and Sport and its Secretary of State, Jeremy Hunt. Now it transpires that Jeremy Hunt had sent a memo to the Prime Minister saying that the UK’s media sector “would suffer for years” if the deal was blocked. However, the Prime Minister is now arguing that these comments did not prejudice Jeremy Hunt’s ability to act in a quasi-judicial role. Is that because the Prime Minister knew about them? Or is it because the personal views were ones he agreed with? And, of course, as the Prime Minister knew when he appointed Jeremy Hunt to his quasi-judicial role that he was apparently already prejudiced, the Prime Minister too was complicit in undermining the process. Apparently, it is “totally unacceptable and inappropriate” for a Minister acting in a quasi-judicial role to have views opposing the bid, but there is nothing wrong in knowingly appointing someone to the same quasi-judicial role if he has expressed the contrary views. Of course, if Jeremy Hunt – by behaving as unacceptably and inappropriately as Vince Cable – were forced to resign, then that would call into question the judgement of the Prime Minister who had appointed him in the first place, particularly if that same Prime Minister knew about the behaviour in question. So perhaps I shouldn’t be surprised that the Prime Minister thinks that Jeremy Hunt’s behaviour WAS acceptable (especially as his non-prejudicial views mirrored his own). My question on the disappearance of Ilias Ali and other opposition politicians in Bangladesh was taken in the House of Lords earlier today. To ask Her Majesty’s Government what diplomatic representations they have made to the Government of Bangladesh about the disappearance and alleged kidnapping of Mr Ilias Ali and other opposition politicians. My Lords, I am not going to have much time for any chillaxing today. We are concerned about the disappearance of Mr Ilias Ali. On 9 May, our High Commissioner to Bangladesh and ambassadors of eight other European countries called on the Bangladesh authorities to conduct thorough investigations into disappearances, including that of Mr Ali. In meetings with the Prime Minister’s Office and senior officials in the Ministry of Foreign Affairs, we have urged the Government to do all that they can to locate Mr Ali and investigate the circumstances of his disappearance. I am grateful to the noble Lord for that reply and for the expressions of concern by the British Government, but is he aware that there are a series of similar cases, including that of Mr Nazmul Islam, a local leader of the Bangladesh Nationalist Party, who was abducted and murdered last December, and that according to the BBC 30 people have disappeared in that way in the past year? There are allegations, too, that the police’s Rapid Action Battalion is involved. In those circumstances, do Her Majesty’s Government accept that this reflects very badly on Bangladesh and its obviously fairly fragile democracy? What support can be given to ensure that the individuals concerned are rescued and restored to their families and that this sort of occurrence stops? The noble Lord is right that this kind of development reflects badly on the political culture of any society in which opposition leaders are arrested or worse. He asked what can be done. The EU had a heads of mission visit in February to Bangladesh and stated its concerns very clearly. We are fully behind that. In addition, our senior Ministers, including my right honourable friend the Foreign Secretary, have been in direct personal contact with senior officials, including the Foreign Minister of Bangladesh, and we take every opportunity to express our worries. It is a concern for us. People may ask why we are worried about Bangladesh. It is an important nation and the destination of one of DfID’s largest programmes, with £1 billion due to go to support Bangladesh development from this country over the next four years. It is a nation that we want to see stable and prosperous and to build on its economic achievements, which are beginning to show dividends. That is the rather encouraging side of an otherwise bad story. Fair enough; those two will do. A whole range of concerns have been expressed by my noble friend. I understand his feelings. This is not a good story at all. He asks whether we will press for impartial and transparent investigations into these disappearances. We do so, have done so, and will continue to do so. In some cases, we will be pressing at an open door and there will be investigations, but in other cases we may not be so successful. However, one has to accept that the drive for ending this dark atmosphere over Bangladeshi politics must come from within that nation. We support Bangladesh in its efforts to stabilise its politics, to move towards the best kind of elections at the next appropriate time and to develop and lift its people out of poverty and the appalling environmental challenges that they also face and with which, sadly, we are all too familiar. Lord Avebury:My Lords, will my noble friend ask the Bangladesh Government whether they will issue an invitation to the United Nations working group on disappearances, which is the proper body to investigate not just the recent disappearances mentioned in the Question but those going back a long way, most of which are attributed to the RAB? David Cameron’s flagship policy of having elected Police and Crime Commissioners is in danger of unravelling. Despite the Tory claims that the elections would deliver high profile “serious” figures to hold local police chiefs to account, this now looks as though this is not going to happen – at least as far as the Conservatives themselves are concerned. 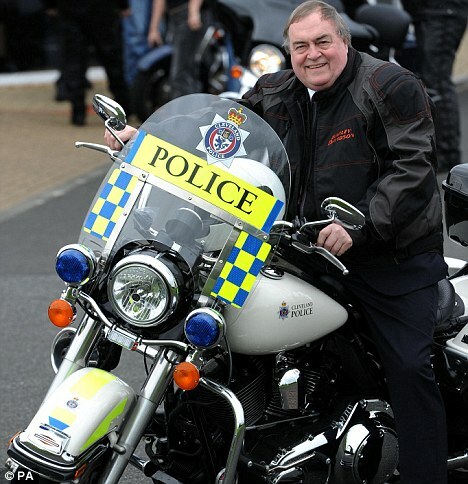 The latest news is that Colonel Tim Collins has dropped out of the selection process to be the Conservative candidate to be the Kent PCC – apparently he was too busy to attend the selection meetings (which does raise the question as to whether he would ever have been able to fulfil the role even on the part-time basis on which he was offering himself). And, if you look at the latest lists of runners and riders compiled by the Police Foundation, the Tory Party now has no significant high-profile candidates publicly in the running for selection. So where does this leave the elections in November? The turnout will undoubtedly be low. The date chosen has only half the daylight hours of a more traditional May polling day and the weather may be unpleasant. The Government has vetoed a free postal distribution to candidates, so the elections will not be well-publicised. And with the rejection of the other Conservative flagship policy of elected Mayors in all but one of the major cities that held referenda there will only be the Bristol Mayoral election on the same day to boost the turnout. We can now expect the Tories to downplay the whole process and I suspect there will be a number of those in the Parliamentary Conservative Party scratching their heads to remember why they wanted to make these changes in the first place. Is this the most extreme example of NIMBYism yet? My attention has been drawn to an attempt to silence a children’s play area by a former Concorde pilot – and his complaint is that it is too noisy (which is what they used to say about the planes he used to fly). Another resident has complained that the children’s mothers “were really fat”, worse still they were “from Bracknell” and can’t control their children. “As a former chief pilot of Concorde, Roger Price knows a thing or two about deafening people. His supersonic airliner happily hit an ear-splitting 110 decibels on take-off and would often bring conversation to a standstill as it thundered overhead. The former pilot claims the play area – built around 20 yards from his detached house in Ascot, Berkshire – is ‘severely disrupting’ his life. He and his wife, Dr Catherine Bentley-Thomas, 51, are fighting a private prosecution to try to force Winkfield Parish Council to shut it. “The residents were accused by barrister for the council Katie Helmore of not wanting ‘children from less affluent areas infiltrating their community’. Sorry to disillusion these killjoy residents: if you live just by a park you are likely to hear other people and their children enjoying themselves. Perhaps they should get over it. After all, it could be a lot worse.